MV Mahabaahu looks more like an ocean vessel than one that travels along the river. Its shape is very different from any of the European river ships you may be familiar with, but it is perfectly designed to traverse India’s Brahmaputra River. 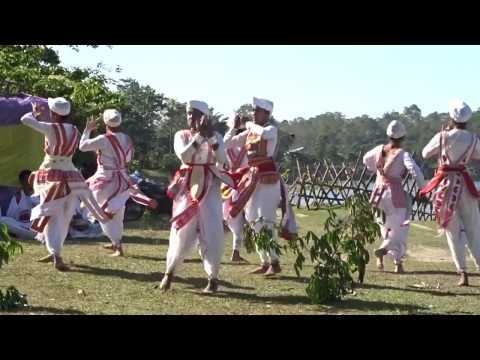 Guests can discover the wonders of this beautiful country’s Assam region. Along the way, you will see intricate, handcrafted items being made, witness the process of preparing tea for commercial use and hopefully spot India’s ‘big four’ wild animals - the single-horned rhino, elephant, buffalo and tiger. The ship itself is a luxurious home from home. They are many areas to relax and you will never feel overcrowded with a capacity of just 46 passengers. The spa area includes a massage room and sauna to help you unwind and there’s the opportunity to take part in morning yoga sessions. The swimming pool, found at the aft of the ship, is also a great area in which to take it easy whilst the ship guides you to your next destination. The Mungri Mungram restaurant is air-conditioned and will provide you with some of the vibrant and exotic flavours of India. The chefs also hold cooking demonstrations during the day during which you can watch them prepare some of the dishes and ask any questions. When you are not relaxing or sampling the delicious food on offer, a smaller boat will transport you to the shore for a host of exciting excursions. Our chefs prepare local/Indian food and continental cuisine using locally sourced ingredients. All meals inclusive of tea and coffee in the main indoor dining restaurant. The restaurant offers buffet breakfast, buffet lunch, semi-seated dinner and seated theme dinners. It features an extensive wine list with premium wines. There are also daily lean & light menu options. The food is prepared by a local master chef heading an experienced international culinary team. Given advance notice, all dietary requirements can be catered for. The Soma Lounge is the place to relax and enjoy a drink on the ship. Guests can also enjoy complimentary coffee, water and tea all day round. There is also a well stocked library and board games. Spend some time relaxing in the sun, or gazing at the shores of the Brahmaputra river. There, you can also enjoy gym and relaxation classes taught by the crew. Take a refreshing deep and this pool, whilst enjoying the view of the Brahmaputra river and its shore, or spend some time working on your tan in one of the lounge chairs. There are two Suites onboard the ship, each 283.2 square feet including the cabin, bathroom and balcony. They feature a very Assamese décor, with silk panel in golden moga silkk and White Eri silk shears. The rooms also include a panoramic glass window, leading to a private balcony overlooking the Brahmaputra river. All cabins incorporate satellite TV, personal safe, mini bar, in-house telephone, air-conditioning and ensuite bathrooms. There are nine Superior Cabins with Balcony onboard the ship, each 206 -230 square feet including the cabin, bathroom and balcony. They feature a very Assamese décor, with silk panel in golden moga silkk and White Eri silk shears. The rooms also include a panoramic glass window, leading to a private balcony overlooking the Brahmaputra river. There are twelve Superior Cabins with Balcony onboard the ship, each 150 square feet. They feature a very Assamese décor, with silk panel in golden moga silkk and White Eri silk shears. The rooms also include a panoramic glass window overlooking the Brahmaputra river.